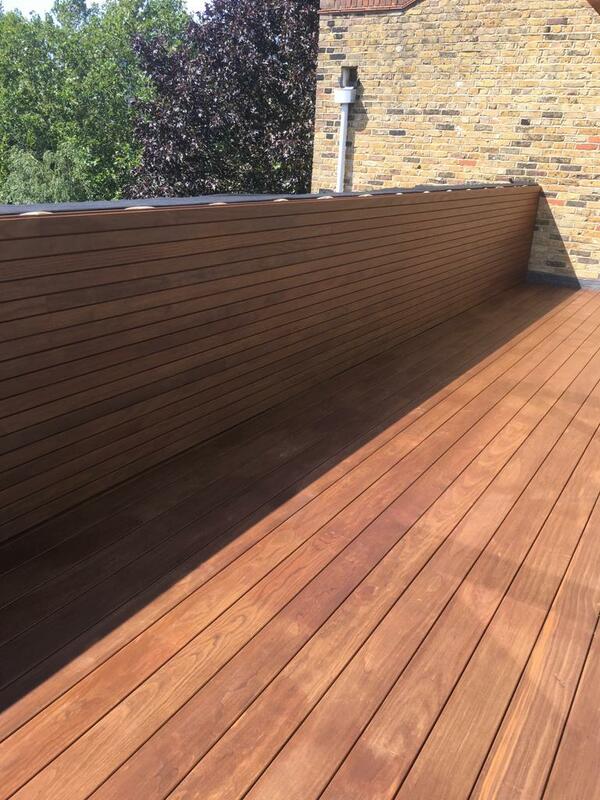 This London balcony project was approximately 100 sqm and comprised of 144mm Kebony Magnet decking over pedestals. 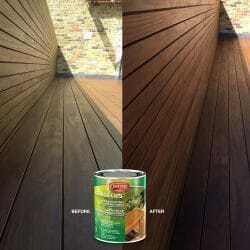 With the same Kebony Radiata in 68mm width as Exterpark Magnet Cladding. 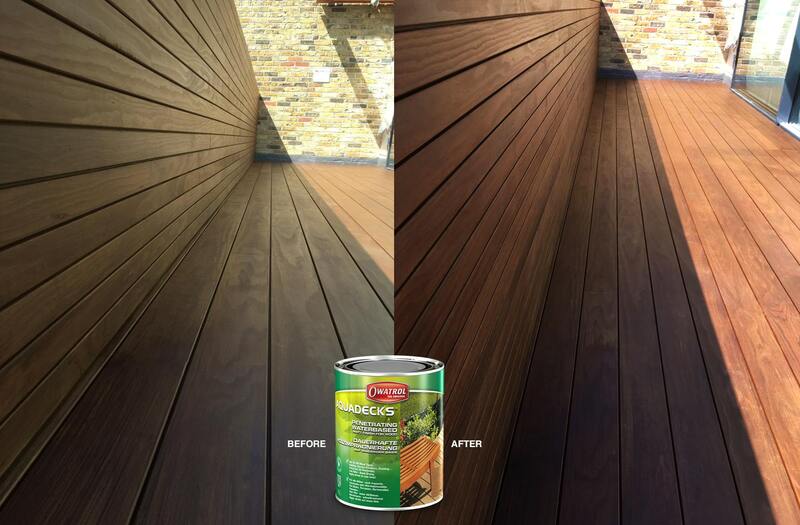 Exterpark Magnet is a revolution in screw-less decking. It’s fast, reliable and simple to use – gone are the fiddly clips and screws! This means no countersinking and what you’re left with is by far the most efficient system on the market. 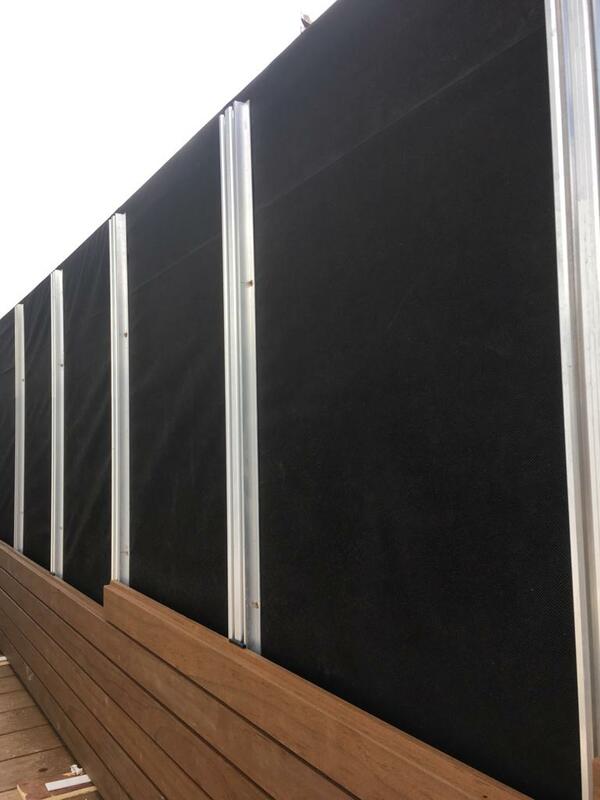 Karl Harrison said, “The boards remain completely accessible after installation. Simply pop up any board when you need to gain access underneath the surface”. 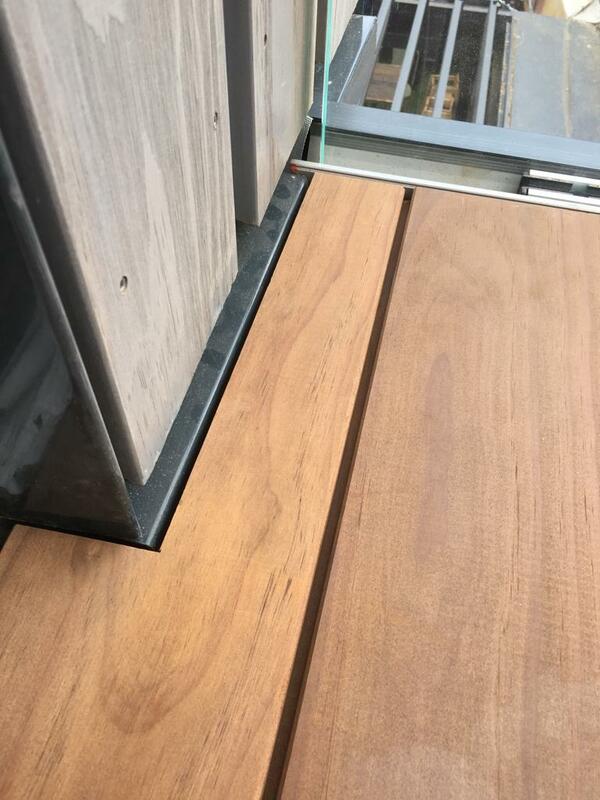 This system allows the flexibility to create decking platforms with a very low elevation, even as low as 43mm; A 5mm shim or packer, low height joist at 17mm and the decking at 21mm makes this by far the lowest system on the market. 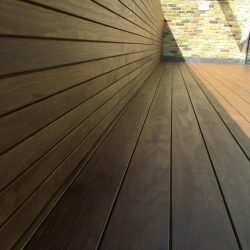 Exterpark decking materials were born in 1984. A simple clipped system called “Classic” quickly copied by the masses but nevertheless invented at Exterpark. 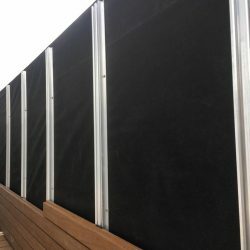 This system quickly evolved into the first patented decking system in the world, which hid the side fixing clips that were known as the Exterpark “Plus” decking system. Magnet is far superior to these – no stainless clips or screws, only Magnet clips! 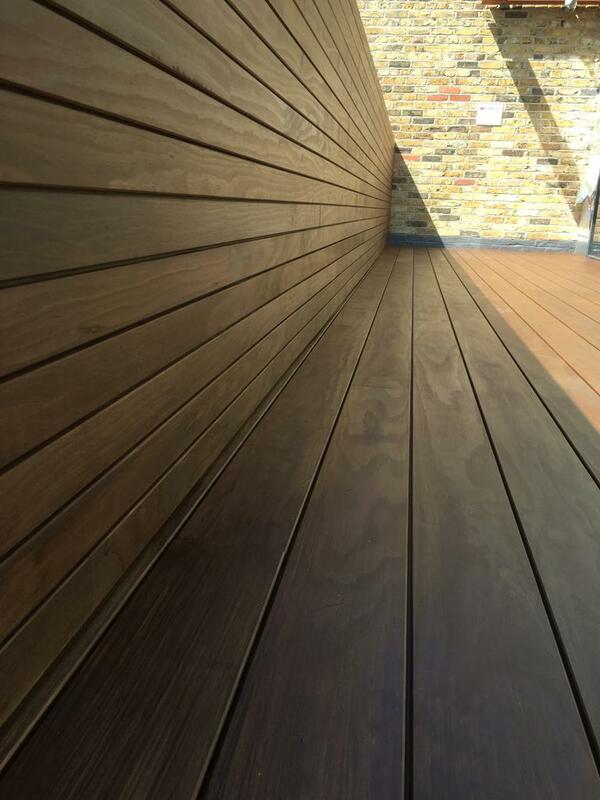 Making it the fastest decking to install on the market. The additional benefits are vast but the most important is that this system can be used for cladding too. The same profile, clips, aluminium joists and exactly the same method of installation. 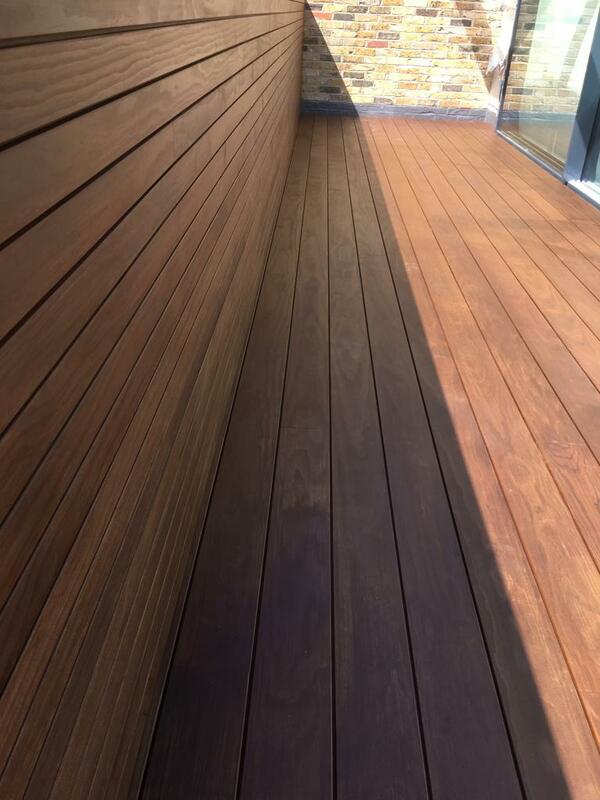 Once the decking was installed, it was oiled with Owatrol Aquadecks to provide a matt finish which enhances the Kebony’s natural beauty. 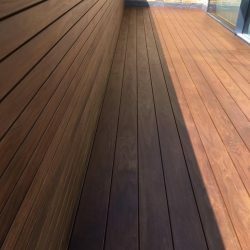 Hundreds of thousands of square metres of Exterpark decking has been installed all over the UK, Europe and the Middle East. 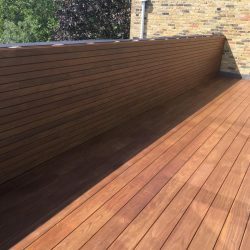 It is now rapidly travelling around the word and sure to be the ‘go to’ decking system specified for all decking terraces. 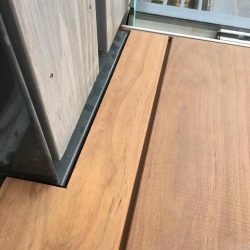 Karl Harrison presents decking and cladding construction CPD’s on a regular basis in Sky House Design Centre in Amersham. He also presents at individual practices. If you would like to book in with him, please feel free to contact us.